Nov. 10, 2010 -- In the early days of the 20th century, the Hotel Del Rey was a popular vacation destination for residents of Southern California. 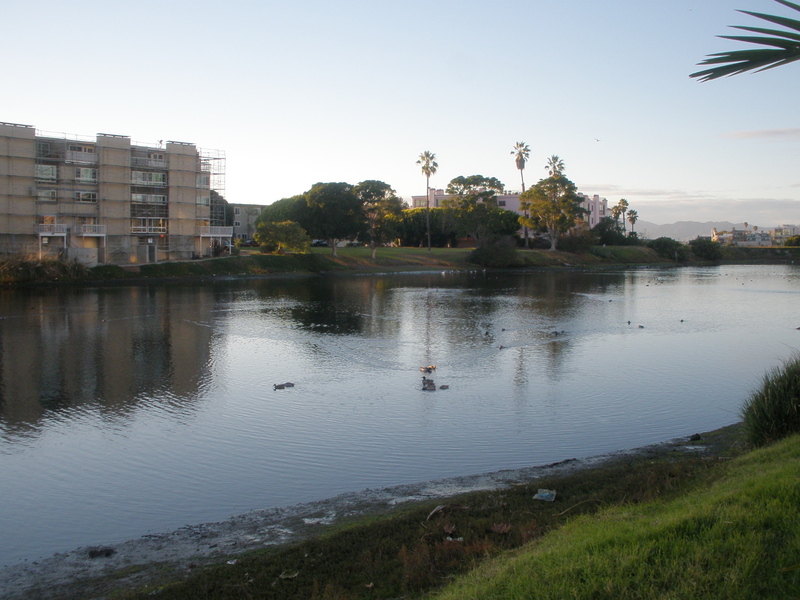 Located close to the ocean, between the current Los Angeles International Airport and Marina del Rey, the three-story hotel had 40 rooms, a dining room with a seating capacity of 150, and was located on the banks of the Del Rey Lagoon, which was used by hotel guests for boat races and fishing derbies. 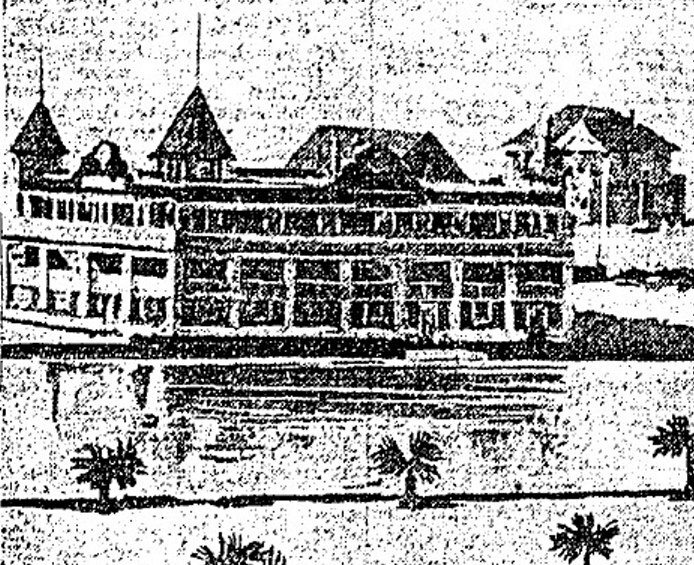 Opened in 1902 by the Beach Land Co., the Hotel Del Rey eventually became a notorious spot for prostitution, and was closed in 1917 under the authority of the state's Redlight Abatement Act, which became law in 1914 to give officials the power to take action against "any building or place where acts of lewdness, assignation or prostitution occur." The hotel building reopened in 1920 as the Hope Development School for mentally retarded girls, even though the school administrators and county officials realized that it wasn't an ideal location, due to safety concerns -- primarily the fear of a fire in the aging, all-wooden building. The Hope School offered basic educational and industrial training programs, including bead work, gardening and other occupational programs. The children remained at the school until it was determined that their mental condition had improved sufficiently for them to be placed in private homes, although some of the girls had been living in the school, at its current and previous location, for years. Mary E. Jacobs of Santa Monica took over operations of the school from the school's founder, Ione A. Conant, in April 1924. Jacobs had been given a temporary permit to operate the school by the County Public Welfare Commission, which was concerned about the safety conditions of the building. The temporary permit was issued, however, because there was no other suitable place to house the children due to community objections. "I knew the building was old and was not suitable for the purpose it was being used for," Jacobs said. "I was making every effort to get out of it." In fact, during the first few months of 1924, a total of five small fires had been set in the basement of the school building, but none caused any major damage or injuries, and school officials were unable to determine whether the fires were started by the girls who lived there, outside arsonists who snuck into the building, or some other cause. The County Public Welfare Commission was responsible for issuing a permit to any institution taking care of children or adults within the county, but outside of the boundaries of an incorporated city. Since the Hotel Del Rey was just outside of the Venice city limits, it fell under the jurisdiction of the county commission. "The commission has been met with many discouraging obstacles in its efforts to find proper places for the housing of unfortunates," said Louise Sterry, a member of the County Public Welfare Commission. "When a suitable place is found, usually it is our experience that people in the vicinity at once rise up in arms against it, and that their protests usually are recognized. The institutional homes for unfortunates cannot be sent to out-of-the-way places or to the edges of the desert because the officials who must visit them cannot do efficient work." 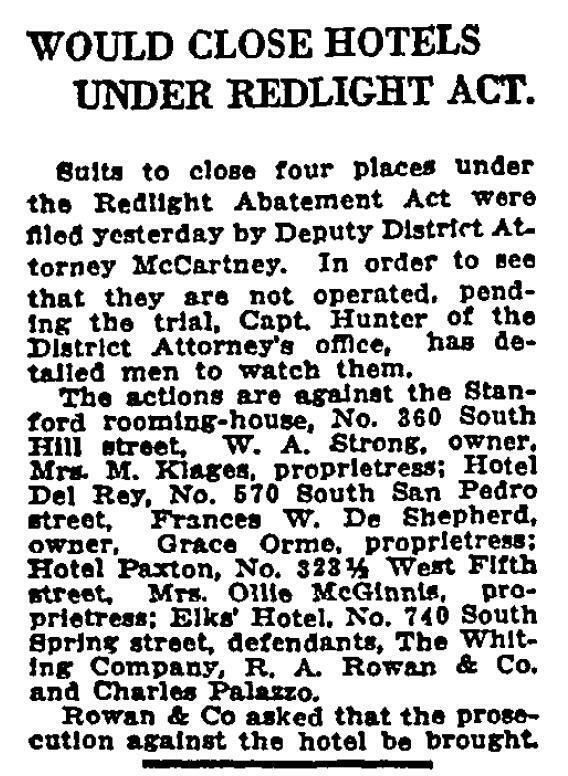 After Jacobs took control of the school, she applied for a permit with the County Public Welfare Commission, which sent out an inspector, Anne E. Hannon, to look at the building. In her report, Hannon urged "an immediate removal of this school from the present location, due to the existing fire menace, as the home is isolated from city fire protection, and the building is very old and rickety." "The girls sleep on the second floor and some are tied into their beds at night, and it would be next to impossible to get them out in case of fire," Hannon reported. Even with that ominous report, the commission issued the temporary permit. "We have chased all over the county trying to locate a place for the Hope School," Sterry said. "In spite of the fact that we recognized the dangers at Del Rey, the fact remained that we had no place to send these children." The commission issued the temporary permit in April 1924, with an expiration date of July 1, 1924, and included a series of requirements. "The commission, after repeated visits and conferences, prescribed certain iron-clad rules for the conduct of the place," said Sherry. "Among these were that the doors were to be kept open at all times, that the third floor was not to be used under any circumstances, that an additional matron was to be added to the home, and that every precaution be taken against fire." Under state law, such facilities are also under the authority of the state Department of Institutions. But since the Department of Institutions didn't have an office in Los Angeles, the Hope School was placed under the control of the state Board of Charities and Corrections, which refused to issue a license for the school after determining that the old hotel was a fire hazard and an unfit location. "In cooperation with the County Public Welfare Commission, we have tried to help Mrs. Jacobs find a better location," said Margaret F. Sirch of the Board of Charities and Corrections. "All social welfare workers know that there has been a deplorable lack of proper facilities for the care of defective children in this part of the state." 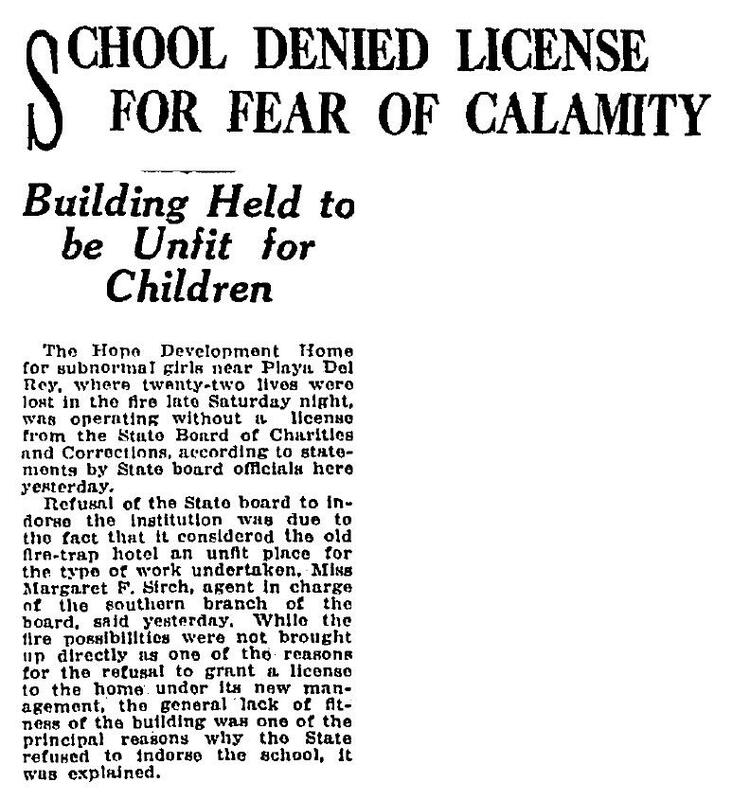 And so, while Mary Jacobs and state and county officials searched for a new and safer location for the Hope School, and met with strong resistance from residents in every neighborhood they found, the children remained at the former Hotel Del Rey. In May 1924, there were 41 residents in the Hope School building -- 38 girls and young women, ranging in age from 4 to 26; two matrons -- Mrs. Drue Thomas, who had a room on the second floor, and Mrs. Lola May Rademaker, who had a room on the first floor; and 14-year-old Wilfred Ringer Jacobs, the adopted son of the school's proprietor. Of the 38 girls and young women, 24 were sent to the Hope School from the Juvenile Court after they were determined to be mentally deficient. The rest were private cases, usually parents sending their daughters to the school because they were unable to take care of them at home. In some cases, one or both of the parents had recently died, and the surviving parent or the extended family decided that the girls would be better off at the Hope School. For the girls sent to the school by the Juvenile Court, the court paid $20 per month for their care, and the school also received an additional $5 per month from the county Board of Charities. Private cases typically paid more than that amount. At the time, five other institutions similar to the Hope School were operating in Los Angeles County, and all were over-crowded. "It was not a case of determining where the girls should be placed, but a case of determining where they could be placed," according to W.H. Holland, head of the Juvenile Probation Department. "I have been searching for suitable buildings and locations for the treatment of such cases ever since I became head of the probation department," Holland said. "I have been met with opposition at every hand. In the first place, the income of the institution was not sufficient to provide for desirable quarters, and in the second place, when a suitable location was found, residents of the surrounding country would make such a protest that the project would have to be abandoned." "There was no other place to send the children," said George H. Hutton, president of the County Public Welfare Commission. "We simply had to make the best of the situation." On Saturday, May 31, 1924, the residents of the Hope School spent most of the day playing on the beach. At 4 p.m., they came inside for their evening meal, then a church service. At about that time, Mary Jacobs went to Los Angeles to discuss the terms for a lease on a new building to house the school. The girls went to bed between 6 p.m. and 7 p.m. Nine-year-old Jane Kerr, who had a history of falling out of bed, was tied to her bed with a strap. All the doors and windows were locked, to prevent residents from wandering away in the night. "I locked the doors and windows every night; I carried the keys with me," said Rademaker. When residents on the second floor of the building became aware of the fire, they gathered at the windows and watched as the smoke billowed around the building and the flames broke through the outside wall. Witnesses said the girls were laughing and shouting, unaware of the danger. Rademaker attempted to gather the girls on the first floor, while Thomas did the same on the second floor. The fire had spread so quickly throughout the building that the matrons couldn't tell where it was coming from, and couldn't determine their safest and quickest exit route. The only outside exit from the second floor was a wooden staircase that was already engulfed in flames. "There were no fire escapes or exit lights," said Rademaker, who also noted that there were no working fire extinguishers in the building. Outside, two men saw the smoke and rushed toward the building. Sylvester Vogel attempted to open the front door of the school, but it was locked. He ran around to the back and broke open the back door, and was met with a wall of smoke and flames. Vogel ran back to his car and sped three miles to Venice to alert the fire department. Walter T.C. Curtis climbed to the roof of a garage next to the building and smashed open a window. He climbed inside, and stumbled over the body of a child in the second-floor hallway. He picked up the body and carried it outside. Curtis went back into the burning building and brought another child out to safety. In all, Curtis helped to bring 17 children and Rodemaker outside. Curtis was eventually able to enter the building on the first floor and attempted to go up the stairs to the second floor, but the burning staircase collapsed beneath him. Vogel returned to the scene, along with two squads from the Venice Fire Department. They quickly directed three hoses on the building, sucking water from the nearby ocean. Vogel and Curtis, who were both treated for cuts and burns on their hands and faces, were both recognized as life-saving heroes. "By the time I came in sight of the home, there was nothing left of it but a few toppling uprights and a heap of blazing embers," said Santa Monica Fire Chief George Hubbard. "I knew before I got there that we were helpless." Hubbard was also surprised and angered that, even though hundreds of neighbors and passers-by had gathered to watch the fire, and in some cases offer assistance, no one thought to use the fire alarm box two blocks away to notify the fire department, and no one called. The fire department first became aware of the fire when Vogel arrived at the fire station after his three-mile drive. "Crowds standing there watching the flames eat up the building and nobody with presence of mind enough even to telephone, let along turn in an alarm," Hubbard said. "Plenty of them in that crowd of neighbors pass the box that might have saved those lives every morning on their way to work. No one remembered. It�s past my comprehension." Like the state and county officials, Hubbard wasn't happy about conditions at the Hope School, but he credited Jacobs with making the best of a bad situation. "I have been through that building at every hour of the day and night," he said, "and, although I always considered it a crime to keep children and particularly children not in full possession of their senses in a frame building, the management of the home did its best to live up to all the regulations and suggestions of this department." As the fire spread, hundreds of area firefighters, police officers and volunteers arrived at the scene. Scoutmaster C.E. Jester and a troop of 40 Venice Boy Scouts helped to control the gathering spectators, and remained at the fire scene until daybreak. Earl J. and Emily Skinner, who lived a few hundred feet south of the school on Trolley Way, arrived at the scene of the fire and immediately began taking care of the girls who were brought outside. They calmed and comforted them, tended to their injuries, and eventually brought the girls into their home before medical personnel arrived to transport them to a hospital. By the time the girls on the second floor realized the danger and attempted to escape from the building, the fire had already spread to the stairs and blocked their exit. When firefighters were able to enter the building, they found a group of eight bodies huddled together in the hallway on the second floor, many with their arms wrapped around each other. The body of another girl was found in her room, laying on her back on her burned bed springs, her arms crossed on her chest. The bodies of 10 girls were found in the rubble of the fire, and another 10 girls were reported missing and presumed dead. Their bodies were later found during a search of the remains of the building. Rademaker was able to escape after assisting as many girls as she could from the burning building. The bodies of Drue Thomas and Wilfred Jacobs were found on the second floor. Eighteen injured girls, ranging in age from 6 to 14 years old, and Rademaker were taken to St. Catherine's Hospital in Santa Monica, where they were treated for burns, smoke inhalation, shock and exposure. Six firefighters were injured battling the blaze, as well as several passers-by who stopped and attempted to rescue the girls. The school building burned completely to the ground, leaving only the charred remains of a brick fireplace and chimney. The fire was front-page news across the country, briefly drawing public attention away from the Leopold-Loeb murder case going on at the same time in Chicago. The Hope School fire claimed a total of 23 victims, most of whom were so badly burned that their relatives were not allowed to view their remains, even for identification purposes. Ten are buried together at Inglewood Park Cemetery. Josephine Boureston, 12, was the daughter of Abraham and Thelma Boureston, both Syrian immigrants who came to the United States in 1890. Her parents settled first in North Dakota, where their first child, Mitchell, was born in 1906. After the family moved to Hawthorne, Calif., where Abraham Boureston worked as a salesman in a department store, Josephine was born on Aug. 2, 1911, followed by Albert, who was born in 1918. Josephine was buried in the group grave in Inglewood Park Cemetery, although her last name is misspelled on the grave marker. Frances L. Brazelton, 23, was the third of eight children of Frank Leslie and Myra E. Wilson Brazelton. The Brazelton family moved from Iowa to Kansas, where Frank Brazelton worked as a farmer, and where Frances was born. The family then moved to Redlands, Calif., where Frank worked as a farmer, salesman, carpenter and house painter. Frances was buried in the group grave in Inglewood Park Cemetery. Frank died in 1936 in San Joaquin, Calif., and Myra died in 1953 in Stockton, Calif.
Blanche A. Butcher, 15, was the second of four children of Albert R. and Josephine Mae Everett Butcher, of Long Beach, Calif., both Canadian immigrants. 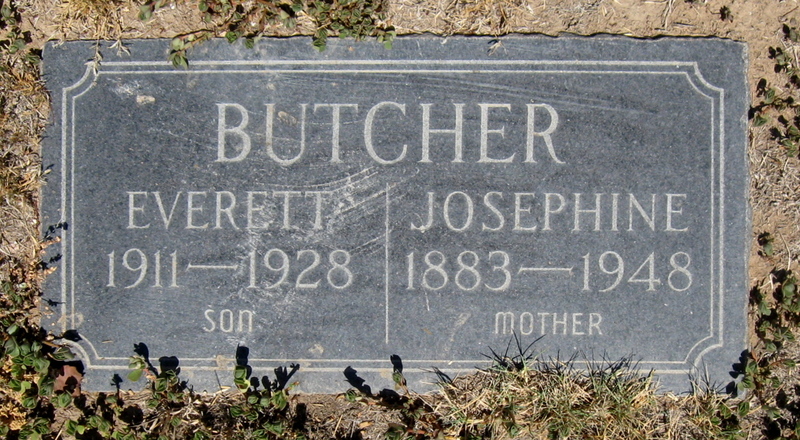 Albert Butcher died in January 1915 at the age of 55, shortly after the birth of their fourth child, and he's buried at Long Beach Municipal Cemetery. Blanche was one of five fire victims who were living at the school as early as 1920. In April 1928, about four years after Blanche died in the Hope School fire, her younger brother, Everett, died when his neck was broken during a high school wrestling match. He was 16 years old. Their mother died in 1958. 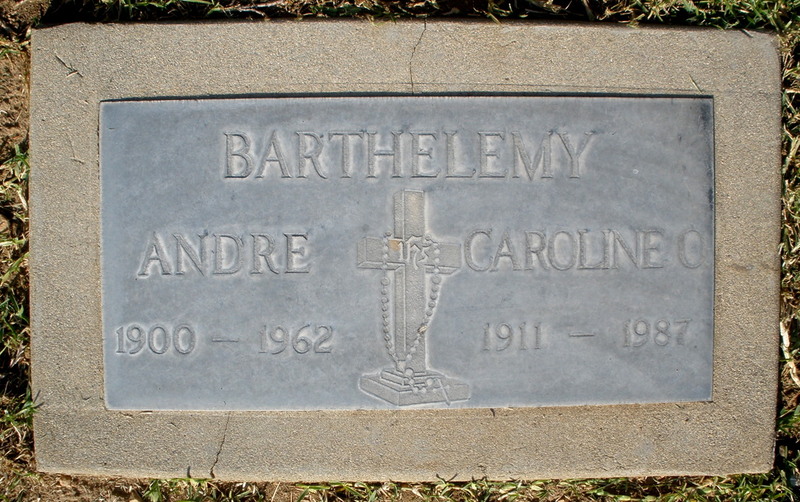 Blanche, Everett and Josephine are all buried together at Sunnyside Cemetery in Long Beach. Rachel G. "Rae" Cohn, 13, was born in San Francisco in 1910, the only child of Albert Harry Cohn, a clothing store salesman, and Gertrude J. Erickson Cohn. In 1918, the family was living in Chicago. By 1920, Albert Cohn has taken a position as a clothing store manager in Ohio, where Rachel attended school. By 1922, the family was back in California, living in South Los Angeles, where Albert worked as a store manager. Rachel�s body was cremated at Rosedale Cemetery (now Angelus Rosedale Cemetery) in Los Angeles, and her ashes were given to her family. Rose Cornfeldt was the third of eight children of Bernard and Elizabeth "Lizzie" Cornfeldt, immigrants from Russia who arrived in the United States in 1882 and settled first in St. Paul, Minn., before moving to Southern California in the early 1920s. The Cornfeldts' oldest child, Max, was born in Russia in 1880, and the rest of their children were born in Minnesota. (Immediately after the fire, newspaper reports listed Rose Cornfeldt's parents as "two unidentified vaudeville performers." In fact, Bernard Cornfeldt was a tailor.) Although Rose Cornfeldt's grave marker at Mt. Zion Cemetery in East Los Angeles identifies her as 26 years old at the time of her death, according to census records, she was 36. Her grave marker also lists the date of her death as June 4, 1924. Like the rest of the fire victims, she died on May 31, 1924. Her father, Bernard, died in 1928, at the age of 71, and her mother, Lizzie, died in 1934, at the age of 73. 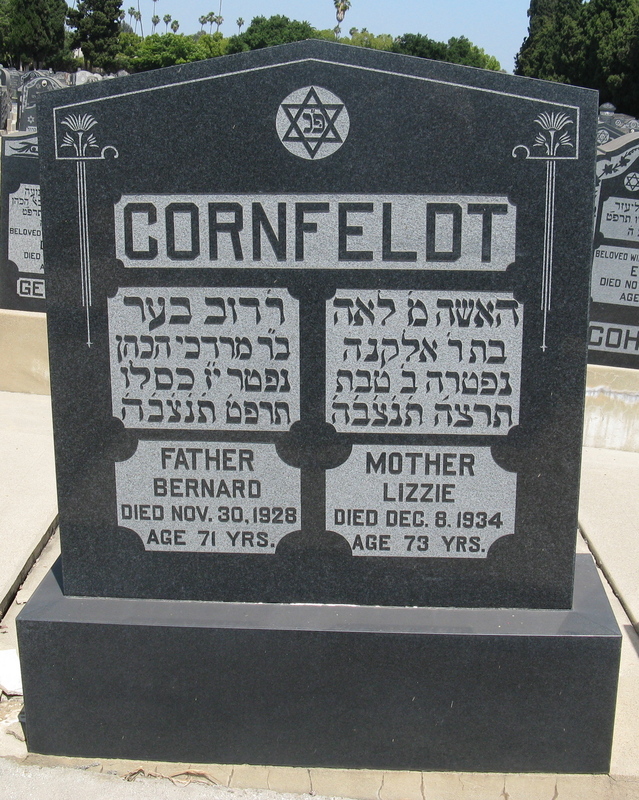 Bernard and Lizzie Cornfeldt are also buried at Mt. Zion. Helen Dorothy Davis, 17, was the daughter of Lawrence Leon and Helen Estes Davis of Los Angeles. Helen was the eldest of six children, and her father worked as a cabinet maker, and later as a hotel manager. Helen was one of five fire victims who were living at the school as early as 1920. Helen is buried at Inglewood Park Cemetery, but not in the group grave. Her grave is unmarked. Her mother died on 1958 and her father died in 1971, and are both buried at Forest Lawn Memorial-Park in Glendale. Mary Catherine Erret, 5, was the daughter of Samuel Saucerman and Elise Catherine Joyner Erret. Her mother, an immigrant from England, died in 1975 in Fallbrook, Calif., at the age of 78. Her father, a native of Montana and a linotype operator for a print shop, died in Grass Valley, Calif., in 1978, at the age of 85. Mary is buried in the group grave in Inglewood Park Cemetery. Helen Fenton, 18, was sent to the Hope School by the Juvenile Court, and had been living there for at least four years at the time of the fire. Little else is known about her. Newspaper reports at the time reported only that, "her father resides somewhere in Los Angeles." Helen is buried in the group grave in Inglewood Park Cemetery. Ruth H. Heimann, 13, was the daughter of Manuel and Jennie May Miller Heimann of Los Angeles. Her father was born in 1856 in Russia, and came to the United States in 1884, and her mother was born in Iowa in 1870. Their first daughter, Marian, was born in Illinois in 1907, and Ruth followed in 1909. The family moved to California by 1920, and Manual Heimann died in the early 1920s. Shortly after her father's death, Ruth was placed in the custody of the Hope School. Ruth is buried in the group grave in Inglewood Park Cemetery. At the time of the fire, her mother was living in Venice, Calif. Jennie Heimann moved from Venice to Los Angeles in 1936, and died in 1943, at the age of 73. She was buried with her parents and siblings in the family plot in her home state of Iowa. Vera May Holbrook, 17, was the second of six children of James and Hilda Holbrook, who were born in New Zealand, as were their first two children -� Clifford, born in 1905, and Vera, born in 1906. In 1909, the family moved to California, where James worked as a railroad brakeman, then as a plumber in San Luis Obispo. By 1920, the family, with the addition of four more children -� Raymond, Gwendolyn, Ethel and Frances -� was living in Los Angeles. Vera is buried in an unmarked grave at Evergreen Cemetery in Los Angeles, next to the "Showman�s Rest" section, which is operated by the Pacific Coast Showmen�s Association as the final resting place for hundreds of former circus and carnival workers. Vera is buried in Section 6760, right behind the tiger statue. Mary Dora Jones, 11, was born in New Mexico. She's buried in the group grave in Inglewood Park Cemetery. Jane E. Kerr, 9, was the eldest child of Dr. Allen N. Kerr and May Elizabeth Hughes Kerr. Her father was born in Canada, and moved to Wisconsin when he was a teen-ager, where he became a physician and surgeon, and where he met his future wife. The Kerrs moved to California in about 1910, and Jane was born in 1914, followed by Allen Jr. in 1918. By 1920, the family was living in Orosi, a small town southeast of Fresno, in central California. Jane was one of five fire victims who were living at the school as early as 1920. Jane is buried in Woodlawn Cemetery in Santa Monica. Her grave is unmarked. After the fire, the Kerrs moved first to LaCresenta, Calif., then to Walla Walla, Wash., where Dr. Kerr worked at the Veterans Administration hospital. Evelyn L. Klein, 11, was born in Massachusetts, and was described as a ward of the Juvenile Court. She's buried at Mt. Zion Cemetery in East Los Angeles, in an unmarked grave in the children's section at the far eastern end of the cemetery. Lois J. Lynn, 5, was daughter of Leah L. Lynn of Los Angeles. Lois is buried at Inglewood Park Cemetery, but not in the group grave. Her epitaph reads, "Safe in the Arms of Jesus." Leah Lynn, a single mother with one child, worked as a live-in housekeeper in Glendale and Los Angeles. Lean Lynn later married, and died on March 9, 1966, in Sunland, Calif., at the age of 76. 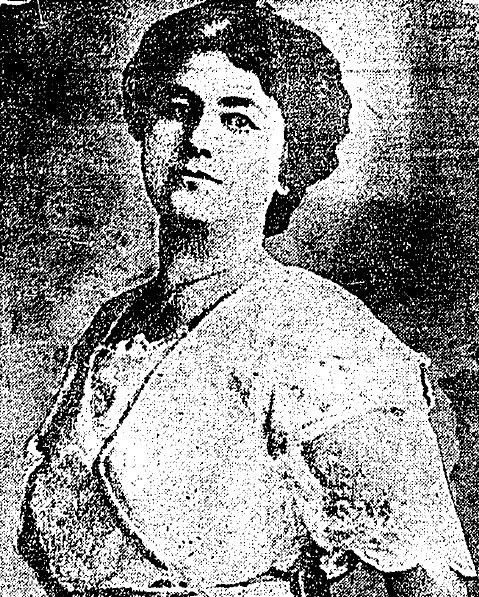 Edna Mae McEvoy, 27, was born in Rockford, Ill., the second of two daughters of Robert and Ella Compton McEvoy. Robert McEvoy, who moved to Illinois from Canada when he was 6 years old, was a successful lawyer in Rockford. Robert died in July 1904, at the age of 43, when Edna was 8 years old. When the eldest daughter, Vera, married Ralph Kriechbaum in about 1915, her mother and Edna moved in with them in Rockford. After the Kriechbaums divorced in the early 1920s, Ella, Vera, Edna and Vera's daughter, Elizabeth, moved to Santa Monica, Calif., and Edna -- then in her mid-20s -- was placed in the care of the Hope School. Edna's body was cremated at Rosedale Cemetery (now Angelus Rosedale Cemetery) in Los Angeles, and her ashes were given to her family. 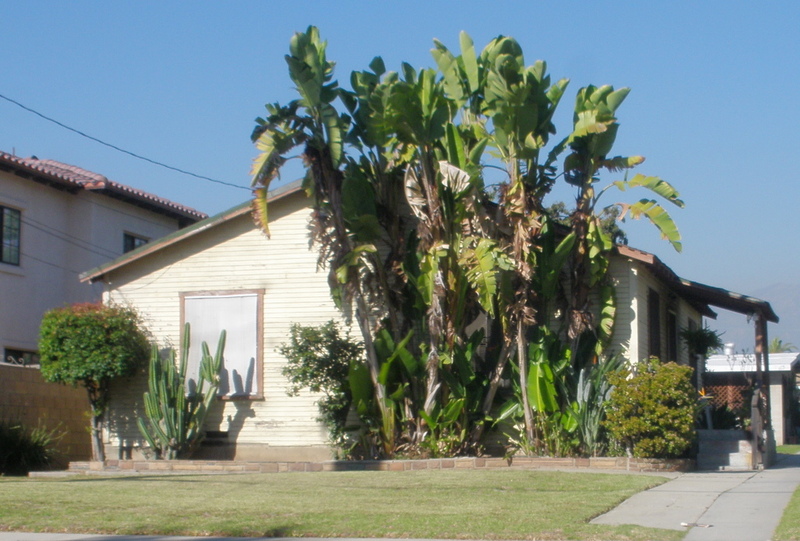 After the fire, Ella, Vera and Elizabeth remained in Santa Monica, where Vera worked in a dental office. Ella died in 1936, at the age of 73. Betty Rand was listed in newspaper articles as being 22 years old, but her death certificate lists her age as 38. At the time of her death, she reportedly had a brother, Chester, living in Chicago, and a sister, Alice, living in Boston. Betty�s body was cremated at Rosedale Cemetery (now Angelus Rosedale Cemetery) in Los Angeles, and her ashes were given to her family. Evelyn Russ, who turned 14 less than three weeks before the fire, was born in California in 1910, the only child of Earl Daniel Russ of Michigan and Zella Agnes Russ of Kansas. Her father was a bookkeeper and, in 1920, her parents lived in Long Beach. Evelyn is buried in the group grave in Inglewood Park Cemetery. After the fire, Evelyn�s parents moved to La Crescenta, then Glendale, then Huntington Beach. Earl Russ died in April 1965 at the age of 79, and Zella died less than a year later in February 1966, at the age of 78. They're buried together at Forest Lawn Memorial-Park in Cypress, Calif.
Evelyn Schurman, 22, was the sixth child of Herman, a carpenter, and Leah Lewis Schurman. Her parents were both born in Wisconsin, and were married in 1876. Their first three children were also born in Wisconsin �- Jennie in 1878, Benjamin in 1883, and Jayson in 1887. 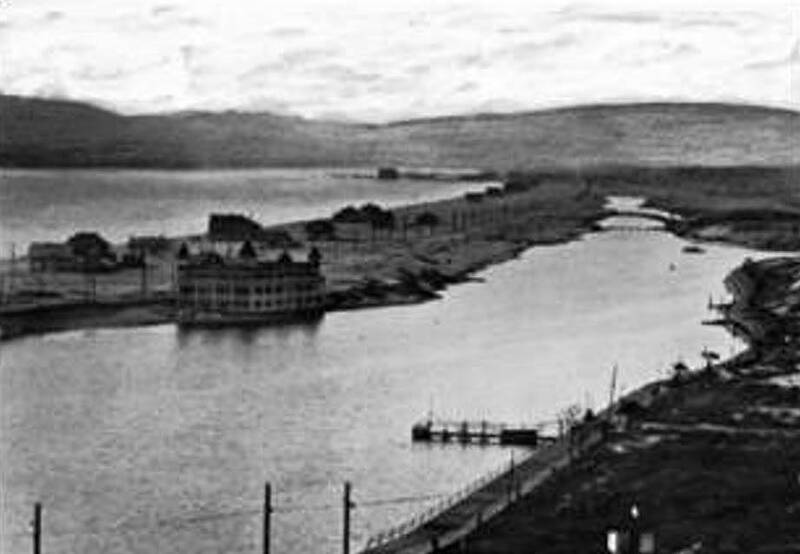 In the early 1890s, the Schurmans moved to Spokane, Wash., where Grace was born in 1894, Leah in 1900, and Evelyn in 1902. The family then moved to Los Angeles in about 1915, and Herman found work on a farm in San Fernando. Herman�s wife, Leah, died in about 1918. Evelyn is buried in the group grave in Inglewood Park Cemetery. Herman Schurman died less than a year and a half after the fire, in October 1925. Thelma Sherman, 19, was the daughter of Henry C. Sherman, an oil driller, and Della Sherman. The couple�s first child, James, was born in 1900, and Thelma followed four years later. 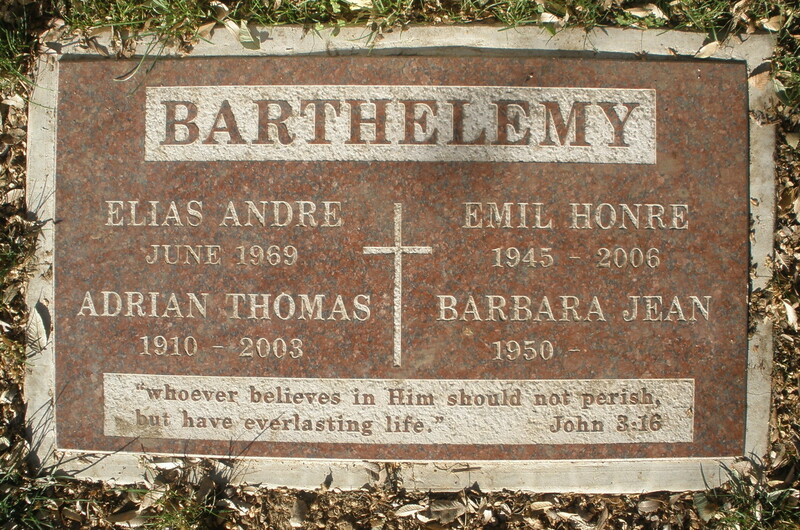 Thelma was buried in Sunnyside Cemetery in Long Beach. In 1930, her parents moved to Santa Paula, Calif., in Ventura County, where Henry worked in the oil fields, and Della worked in a citrus packing plant. Henry died in 1939, at the age of 62, and Della died in 1965, at the age of 85, and they joined their daughter at Sunnyside Cemetery. Evelyn Sparks, 13, was the eldest of four daughters of California natives Carl Prince Sparks, a butcher, and Mary Margaret Weldon Sparks. A few years before the fire, Evelyn's parents and two sisters moved to Humboldt, Ariz., where the family's fourth daughter, Helen, was born in April 1923. Evelyn was one of five fire victims who were living at the school as early as 1920. 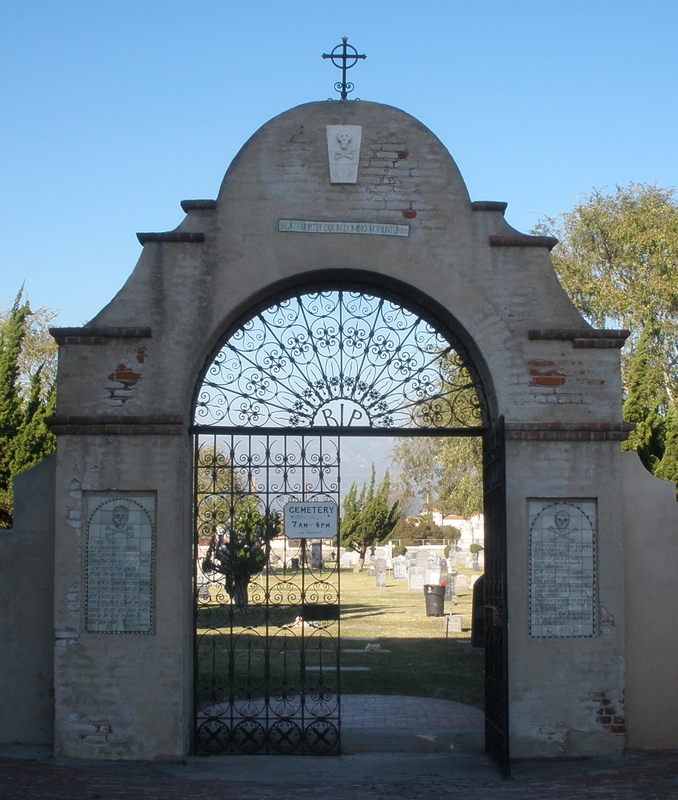 Evelyn is buried in Calvary Cemetery in East Los Angeles, in one of the oldest sections of the cemetery. Her grave is unmarked. Two years after the fire, the Sparks family returned to California, settling in Menlo Park, south of San Francisco. Evelyn's mother died in 1958 and her father died in 1959. They're both buried in Holy Cross Cemetery in Menlo Park. Edna Mae Vann, 14, born in Oklahoma, was the daughter of Asa L. and Amanda Vann of Los Angeles. Edna May suffered from a high fever when she was a baby, which left her mentally retarded. In March 1924, two months before the Hope School fire, Edna May�s mother died from tuberculosis, leaving behind five young children. Soon after her mother�s death, Edna May�s father put Edna in the Hope School. Evelyn is buried in the group grave in Inglewood Park Cemetery. Less than a year later, her father also died. Drue Thomas, 50, the head matron of the school, was born Drurah Boilon in West Virginia in 1874, the daughter of farmer Ezekiel B. �Zeke� and Amanda Bell Boilon. The family moved to Columbus, Ohio, in 1891, where Ezekiel died the next year at the age of 65, and Amanda died on 1901, on her 64th birthday. After her mother�s death, Drue worked as a seamstress. After a brief marriage, Drue -� now Drue Thomas -� worked for a candy manufacturer, then as an attendant at a facility called the Imbecile Institute in Columbus. In about 1922, she came to California to work at the Hope School. Drue's remains were initially taken to Woodlawn Cemetery in Santa Monica, but she was not buried there. Her burial location is unknown, though it's likely she was returned to Ohio for burial. Wilfred Ringer Jacobs, 14, was the adopted son of Mary Jacobs, proprietor of the Hope School. Wilfred's biological parents were Emil and Hattie Fleming Ringer. Emil was a farmer in Nebraska, where their first son, Harold, was born in 1898. The family moved to Los Angeles in 1910, where Wilfred was born the following year. Emil worked for several years in construction in Los Angeles, then the family moved to Riverside, Calif., in 1913. Hattie died in 1918, a victim of the global influenza pandemic, at the age of 40, when Wilfred was 7 years old. After Hattie died, Emil and Wilfred moved to a farm in Victorville, Calif., where Emil died two years later, at the age of 46, and Wilfred was taken in by Mary Jacobs. Wilfred was buried in the group grave in Inglewood Park Cemetery. Wilfred's older brother, a veteran of the U.S. Navy, died in 1942 at the age of 43, and is buried at Los Angeles National Cemetery. Immediately after the fire, the Los Angeles County State's Attorney's Office, the county grand jury, the Coroner's Office and the Board of Supervisors announced that they would conduct investigations. Throughout the state, there were calls demanding the immediate construction of fire-proof facilities for wards of the state. Following an inquest, the coroner's jury reported, "We are unable to determine the origin of the fire from the evidence presented. We do not find that this fire was the result of carelessness on the part of the management of this school, but recommend that all schools of this nature be either provided with ample fire protection or closed." In a strongly worded and eloquently emotional statement issued less than three weeks after the fire, a county grand jury placed the blame for the fire squarely on state and county officials for not providing proper housing for wards of the state, describing them as "sadly negligent in the performance of their duties in allowing the children to be placed in a building which had been condemned by them as unfit for use." "It is the opinion of the grand jury that the State of California is primarily responsible for this terrible catastrophe because of the fact that it has not provided a home for these children, either with monies it may have at its disposal for this purpose or in taking steps thoroughly to acquaint the public with the situation and to obtain sufficient funds to make such provision," the grand jury said in its report. During more than two weeks of investigations, the grand jury also examined other homes and institutions where children who are wards of Los Angeles County are housed. 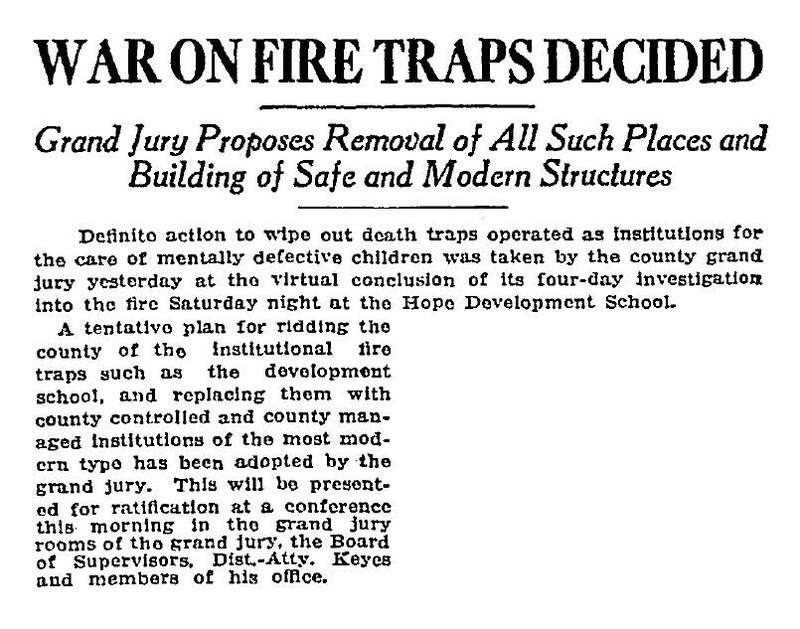 "The evidence placed before this grand jury regarding this fire is that the cause is unknown; that the building, in a depressing environment, was a fire-trap; that there were no provisions made for the safety of the inmates; that, at the time of the fire, there were only two attendants in charge of those thirty-eight mentally defective children, who were sleeping on the second floor, and many of the children unable to help themselves, therefore it was a physical impossibility for the two attendants to remove all of them from the burning building," according to the grand jury�s report. "Further investigation by the grand jury shows that there are numerous other buildings that are alarmingly inadequate for the care of children, where the fire hazard is equally as serious as at the Hope Development Home in Playa del Rey. "It is the opinion of this grand jury that immediate steps should be taken to ensure the safety of similar institutions so that the lives of their inmates will not be endangered and to prevent a repetition of this horrible incineration which occurred at Playa del Rey on Saturday night, May 31, last. "Investigation also proves that the present plan of caring for these children is impractical, and does not properly provide for their safety, health, happiness and opportunity to develop. The grand jury recommends that the State of California provide a real home for these unfortunate children immediately." The grand jury also presented specific recommendations for the design and management of such a home -� one-story, fireproof structures, housing no more than 10 children in each, with adequate medical attention, care, comfort and safety. "California must have it," the grand jury said. "Humanity demands it." "A disaster such as the calamity as Playa del Rey means more than the horrible incident of itself," the grand jury said. "It weakens confidence in the machinery of the community and state supposed to function for society's benefits and safeties. This confidence must be restored. The greatest thing in human living is the regard we have for our offspring. No business office or personal ambition is greater than a little child. In probably two-thirds of instances, feeble-mindedness is of hereditary origin -� is the result of the expression of defective family stocks. "In closing, the grand jury of the county of Los Angeles wishes to say that a citizen of this community should feel an intense interest for his community and country and fellow man, and by interest is meant a loyalty, and a loyalty to mankind will not allow little children or mental defectives to daily to face disaster such as happened at the Hope Development Home." Although the grand jury, along with newspaper editorials and public opinion, blamed the state and county for the conditions which resulted in the fire, California Gov. Friend Richardson said, "The disaster as Playa Del Rey was unfortunate. Unfortunately, there are no fire-proof buildings. Many great fires have proved this. Unfortunately, there was no cool-headed person there to fight the fire. Unfortunately, there was no one there with self-possession to get the poor unfortunate children out of the building. "But the state is no more responsible for the disaster than it was for the gun explosion at San Pedro or the blowing up of the Maine," Richardson said, referring to two recent disasters. "The responsibility for the care of all children rests upon parents and guardians. The responsibility for educating children rests with the counties and school districts, and the state advances many millions each year for this purpose." The day after the fire, Rademaker, who suffered burns to her face and neck, was asked if one of the girls might have set the fire. "Some people think so," she said, "but I hardly do. I don't know how they could, for we guard the matches very carefully." During the official inquiries, officials interviewed witnesses, proprietors of similar facilities, and the surviving girls from the Hope School. On June 18, nearly three weeks after the fire, one of the surviving residents of the school, Josephine Barthelemy, 16, confessed to District Attorney Asa Keyes that she had set the fire. Josephine, who had the intelligence level of an 8-year-old, was the youngest of six children and the only daughter of French immigrants Joseph and Blanche Goyar Barthelemy. Joseph worked as a farm laborer, and the family lived in San Gabriel, Calif. Blanche Barthelemy died in 1914, at the age of 34, when Josephine was 5 years old, and Joseph died the following year, at the age of 45. After their father's death, Josephine's older brothers remained in the family home, and she was initially taken in by a neighbor, Delfina Moreno. But Josephine frequently ran away from home, and was eventually placed in the custody of the Juvenile Court, which placed her in the Hope School in April 1924, a month before the fire. Josephine confessed that she was given a match on the day of the fire by one of the girls who worked in the school's kitchen. She hid the match in her shoe all day, waiting for her chance to sneak down to the school basement and start the fire. Her only plan, she said, was that if the school burned down, all the girls would be allowed to go home. "And then," she said in her confession, "we'd get an automobile and all go for a nice ride." Josephine said she waited until all the other girls in the house had gone to bed, and only Rademaker, the first-floor matron, was awake. She put a robe on over her nightgown and slipped barefoot down the back stairs. When Rademaker was out of sight, Josephine went down into the basement, lit her hidden match on the floor, and placed it against a pile of burlap sacks containing kindling wood. After setting the fire in the basement, Josephine returned to her room on the second floor and went to bed. When the fire started to spread, Josephine didn't leave the building until she first helped several other girls to safety, and she suffered minor burns. Josephine said she was sorry for what she had done, and said she had no idea that the fire would cause any harm to her fellow residents of the school. Gertrude M. Garrett, the county's assistant probation officer in charge of all retarded children under the age of 21, said Josephine had "only a shadowy understanding of the horror that she had committed. But she is sorry, genuinely sorry, for the suffering that resulted from her act. She meant no wrong, she was simply incapable of realizing the consequences of her initial act." "The morning after the fire," Mary Jacobs said, "I went to St. Catherine's Hospital to see the injured children. All appeared to be glad to see me, except Josephine. She hung back and this struck me as especially strange because she always had been friendly." Jacobs described Josephine as among the brightest students at the school, and that might have been one of her problems. More than the other students, she was aware of where she was, and aware that she was being confined and was not free to leave. "It would be difficult to say that the girl is insane, certainly not criminally insane," he said. "There is nothing to show a homicidal impulse. Yet her act was deadly beyond the limit of her imagination. It is a difficult and delicate problem to tell what ought to be done with her. ... The crying need brought out by this holocaust is some institution for the confinement and care, not of the insane -- there are plenty of those -- but of the mentally sick, and California has none that I know of." After the fire, a memorial marker was placed over a mass grave at Inglewood Park Cemetery, for the �Children of the Hope School who Perished by Fire, May 31, 1924.� The marker �- in the center of one of the older sections of the cemetery, where visitors are seldom seen, and flowers are rarely left behind on graves -� identifies the burial location of 10 of the victims -� Wilfred Ringer Jacobs, Helen Fenton, Evelyn Russ, Mary Catherine Erret, Ruth Heimann, Eveyln Schurman, Mary Dora Jones, Edna May Vann, Frances Brazelton and Josephine Boureston. After 90 years of wear and decay, the old concrete marker was recently replaced with a new marble version. Rademaker, the first-floor matron, was born in Iowa, and was 50 years old at the time of the fire. She moved to Long Beach after the fire, and died in 1940 in San Bernardino, at the age of 66. 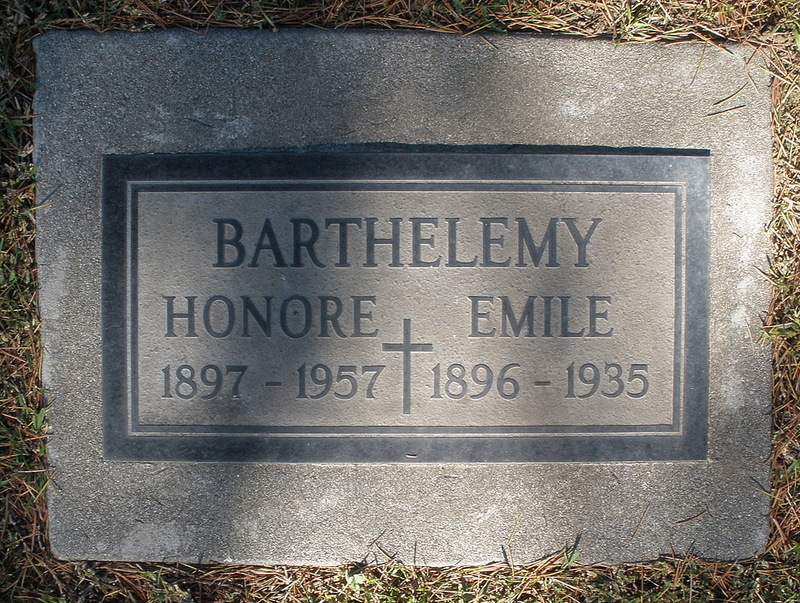 Josephine Barthelemy's parents are buried in unmarked graves at San Gabriel Mission Cemetery, which is just a few blocks away from the home where members of the Barthelemy family lived for more than 50 years. The cemetery also contains the final resting places of Josephine's four older brothers -- Emile, Honore, Andre and Adrian. 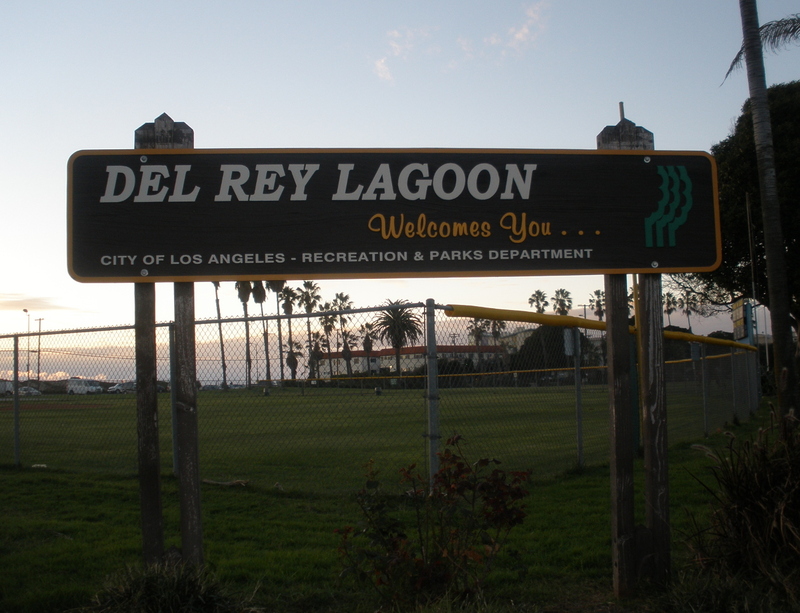 The location of the Hope Development School is today part of the Del Rey Lagoon Park in Playa del Rey, Calif.